With Kristin Idaszak's Second Skin, I was immediately struck by how the ocean was a character, a force that pushed and pulled the mother, sister and daughter through their lives. Thus, I wanted to "bring that character to life" and place it on the beach. Kristin used the Irish Selkie myth to explore how pride and secrets damage relationships and also turned the male-centered love-story into a tale of women and family. With three inter-connected monologues, the play hearkens back to Homer telling tales around a fire. Second Skin was the inaugural performance of my company The Flagship Ensemble. Thus, I wanted to share it with the widest audience possible. We started the tour on La Jolla Shores, just down the hill from where Kristin, two of that cast, and I had attended grad school at UCSD. 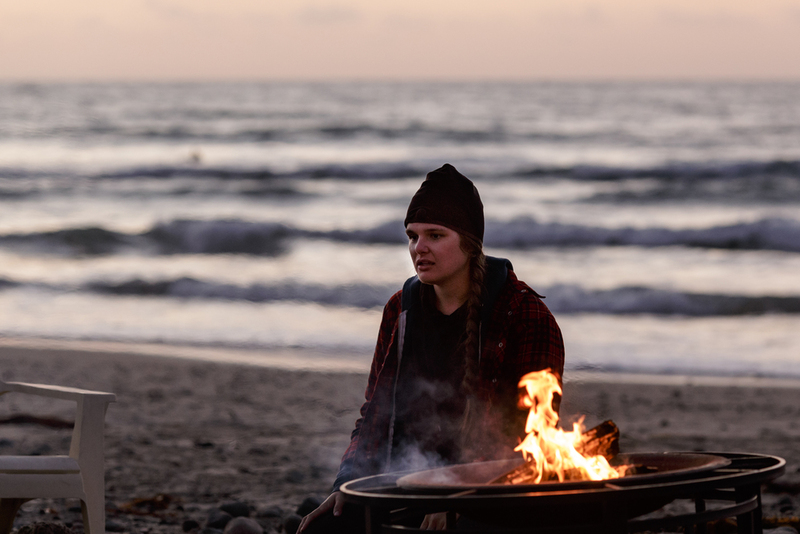 Next, we toured up to Santa Barbara where UC Santa Barbara's professional presenting organization Isla Vista Live, presented us on a beach on campus where students pack the beach and hillside. We also performed as Guest Artists at Westmont College's Fringe Festival in Santa Barbara. Then, we returned to Santa Monica for a three-week run with warm audiences who braved the chilly winds.